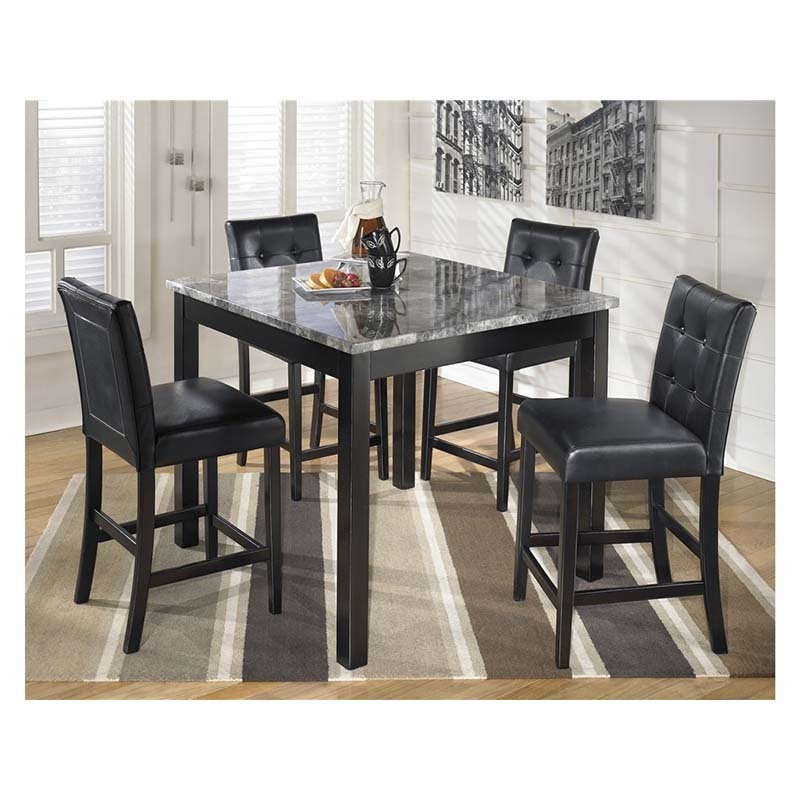 The Ashley Maysville 5-Piece Counter Height Dining Set makes a big statement while taking up very little space! Its polished, faux marble tabletop is a breeze to clean, and each counter stool is dressed to impress in tufted faux leather. Set includes 1 table and 4 chairs.